With the bingsu craze storming the island, many Korean dessert cafes such as Cafe Insadong has been opened in the little red dot. Located at South Bridge Road, Cafe Insadong is actually quite a small cafe with limited sitting space. The signature item at Cafe Insadong has to be their patbingsu. 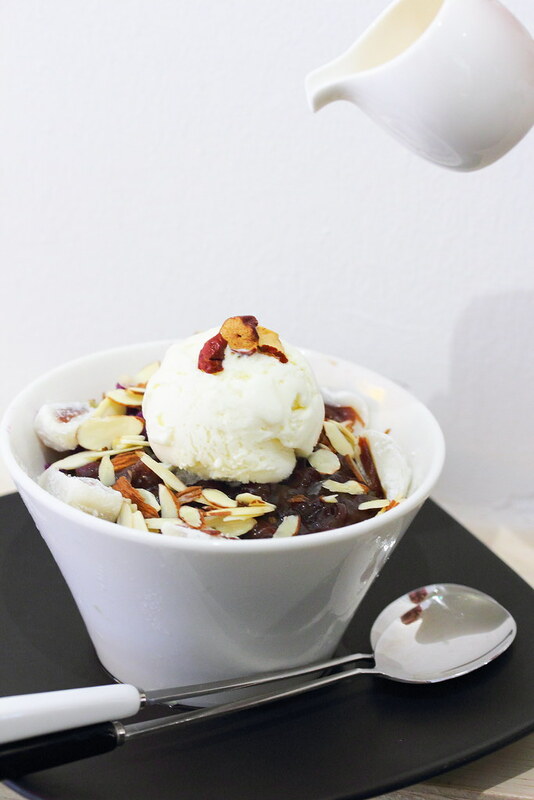 The Red Bean Patbingsu ($8.50) comes with a a scoop of ice cream and generous topping of red beans, almond and even mochi. While the topping was a lot, the shaved ice came across bland and coarse. It lacked the sweetness of the milk and the melted in the mouth, snow-flake like texture. 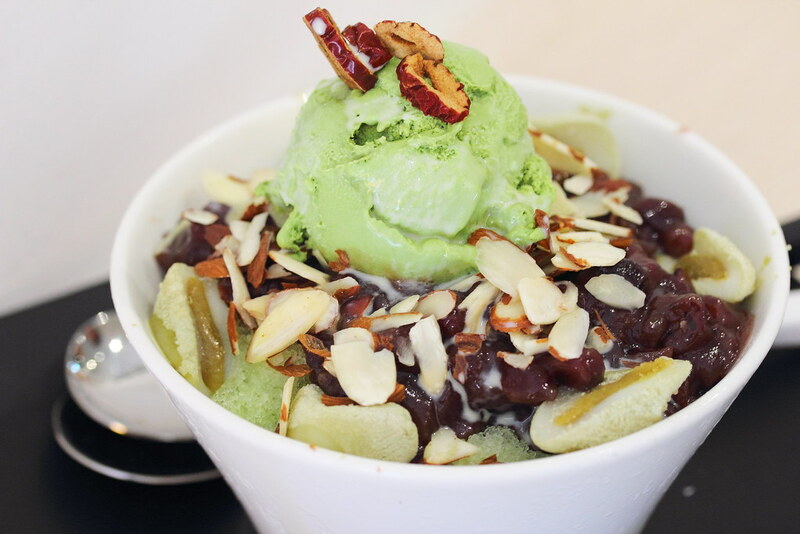 Faring better is the Green Tea Patbingsu ($9.50) with green tea ice cream, red beans, almond, mochi and green tea infused shaved ice. Like the earlier bingsu, the ice is bland and coarse. Compared to other Korean dessert cafes such as Nunsongyee and O'ma Spoon, it came across as a disappointment. 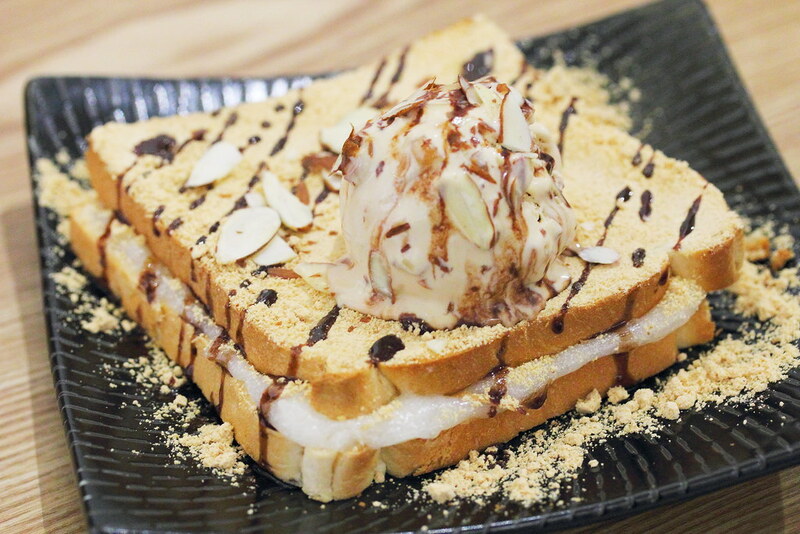 Having tried a couple of Korean dessert cafe, I would say the Injeolmi Toast with Salted Caramel Ice Cream ($7.80) is more generous in its ingredients compare with the others. The injeolmi sandwiched by the lightly toasted bread and dusted with an abundance of kinako is both nutty and chewy enjoyment. Cafe Insadong pricing is very competitive compare to the other Korean dessert cafe. They are also very generous in their ingredients and toppings. However the bingsu ice needs much improvement to be considered as one of the best bingsu in Singapore.